Military bases in Georgia are home to over 88,000 active duty and reserve members. Georgia has the 6th largest military population in the United States, behind California, Texas, North Carolina, Virginia and Florida. Most Army soldiers are familiar with one particular military base in Florida – Fort Benning. The Fort Benning Army Base is where basic training takes place each year. It is estimated that the base supports over 120,000 soldiers and staff each day! Of the 61,000 active duty military members in Georgia, about 46,000 are Army soldiers. In addition, there are over 27,000 reserve members in Georgia. About 19,000 of these members are in the Army National Guard or Army Reserve. 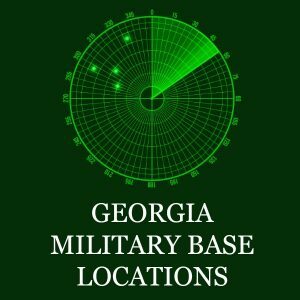 With 7 Army bases in Georgia, if you’re a soldier it’s likely that you’ve been to a military base in the Peach State. That’s because Fort Benning hosts Army basic training each year, serving as the starting point for a career in the military. It also doesn’t hurt that out of the 88,000 active duty and reserve members in Georgia, about 65,000 of those serve in the Army. Did you complete your basic training in Georgia? If so, let us know in the comments below.